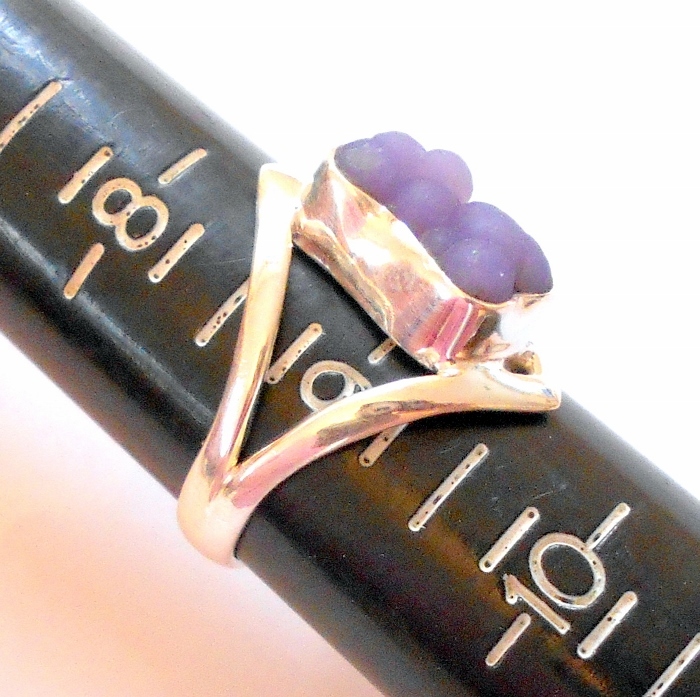 Purple Manakarra grape agate sterling silver ring, size 9. 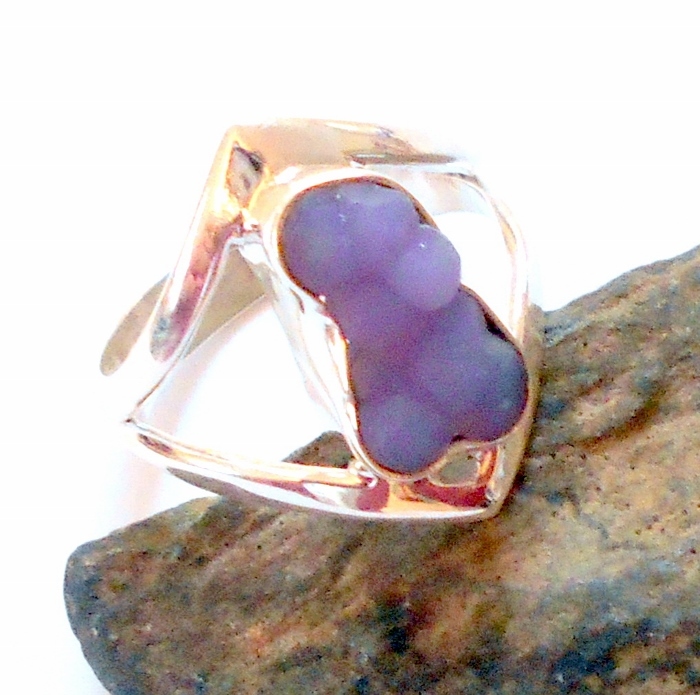 Agates are grounding gemstones that help one overcome negativity and bitterness, allowing one to overcome emotional trauma and move on. 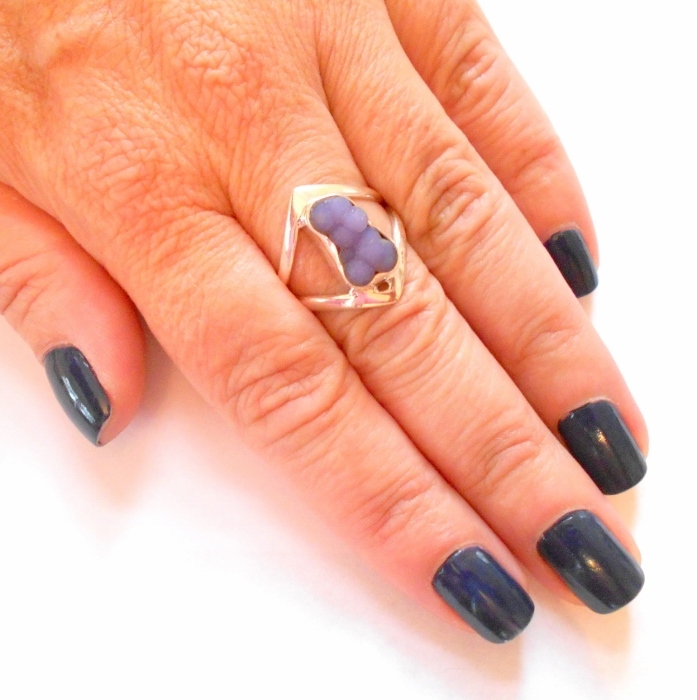 Agate promotes emotional and intellectual balance.